The tricyle is a motorcycle with a sidecar (passenger-cabin) on a third wheel attached . In the Philippines this mode of transportation are used for serving as a kind of taxi. This is common outside the city. enjoy! With their mode of transport, I’m sure they can arrive home safe:) Thanks for commenting guys! 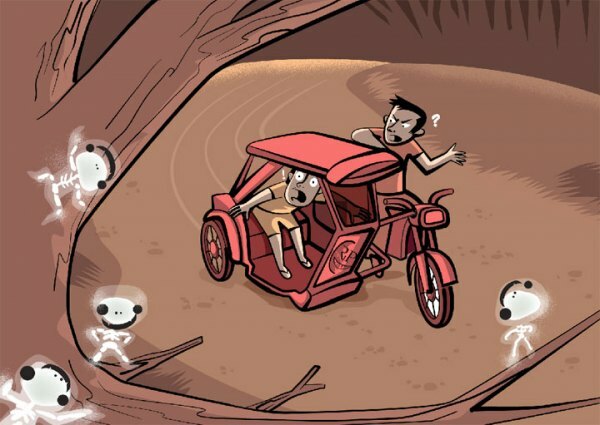 Great illustrations, love the little ghoulies and my nephew rides to school in one of those tricycle thingies.